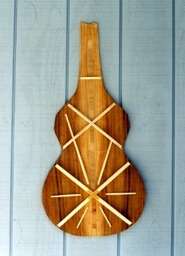 The Acousteel is my modern redesign of the old Hawaiian acoustic steel guitars of the 1920's. 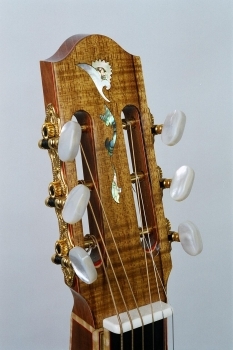 The unusual bridge and internal bracing are taken after the research and developments of Dr. Michael Kasha and Luthier Richard Schneider who originally designed this asymmetrical style of bracing for classical guitars. 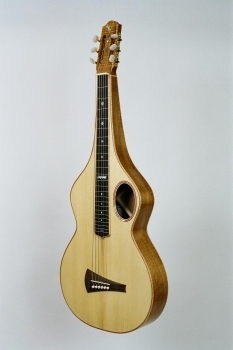 The modern design and bracing patterns, combined with the highest quality materials and construction, produce an instrument which goes beyond the short-lived promise of the older instruments. 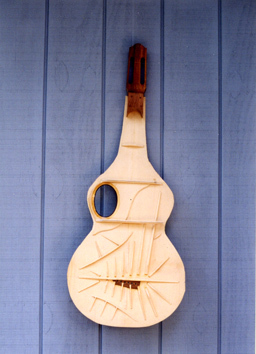 I have also overcome many of the shortcomings of "resonator" guitars - such as rattle, poor volume, and amplification. 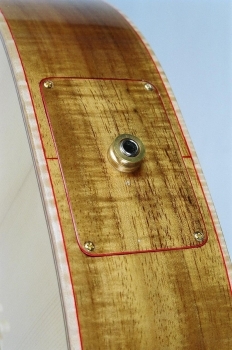 These instruments will be able to take acoustic "steel guitars" into all forms of music. 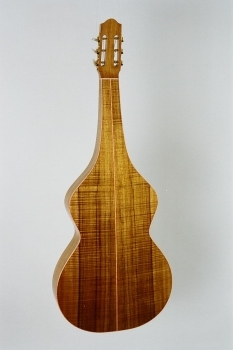 I am making these guitars with Koa back and sides and bridges, Red Spruce face, Ebony fingerboards, and Grover vintage style tuners. Base price is $6,000 with a hard shell case.